Positive slurry cylinder mould tissue paper machine is mainly used to produce tissue paper. 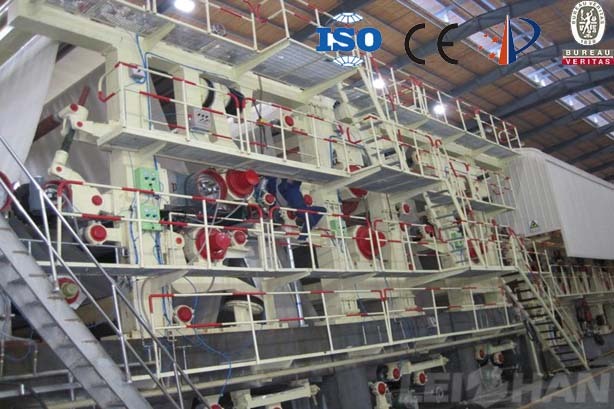 The paper machine includes net groove, cylinder mould part, press part, drying part and reeling part. 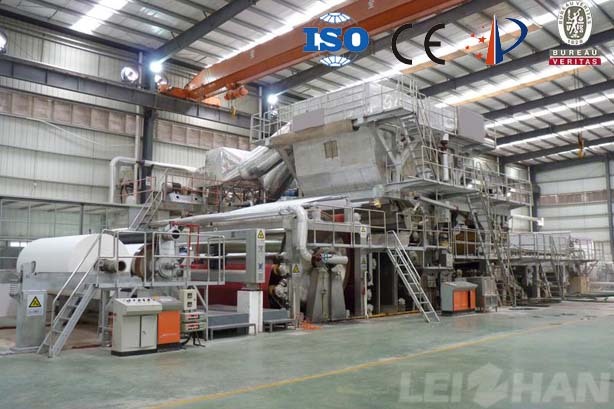 Leizhan supply high quality pow price paper machine, from pulping process to papermaking process we can supply the whole complete paper making line. 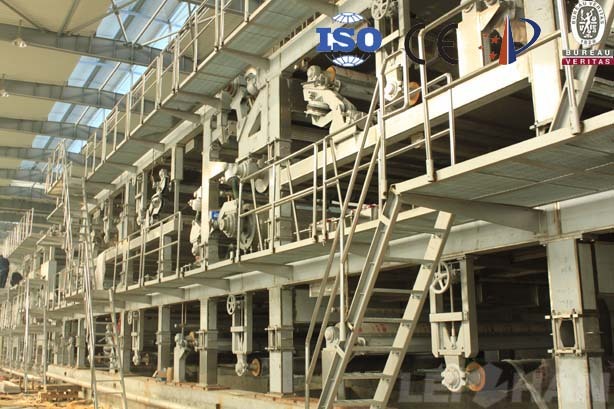 Triple layer liner cardboard paper machine, the net paper width is 4400mm, the max.operating speed is 350m/min, it is mainly used to produce liner cardboard paper. The machine contains the following parts: headbox, fourdrinier part, press part, front drying part, inclined column surface sizing machine, back drying part, calender part and reeling part. 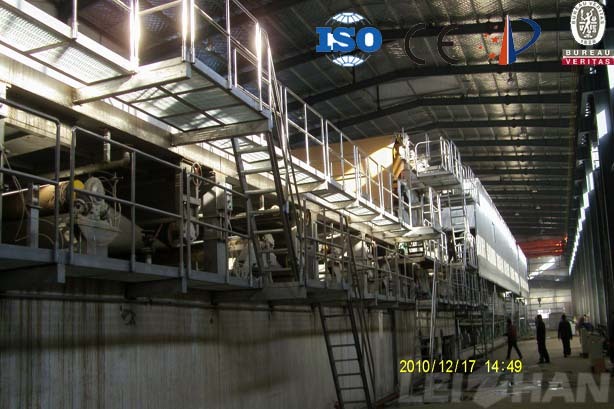 4200 High Strength Corrugated Paper Making Machine net paper width is 4200mm, is mainly used for making high strength corrugated paper. The paper machine is mainly divided into the following parts: Headbox, Fourdrinier Wire Section, Press Section, Front Dryer Section, Beveled Surface Sizing Machine, Back Dryer Section, Reeling Section. Cylinder Mould Type Tube Paper Machine mainly used for yarn tube paper making. Main paper machine is divided into the following parts: cylinder mould part,return back press size part, press part, drying part, reeling part. 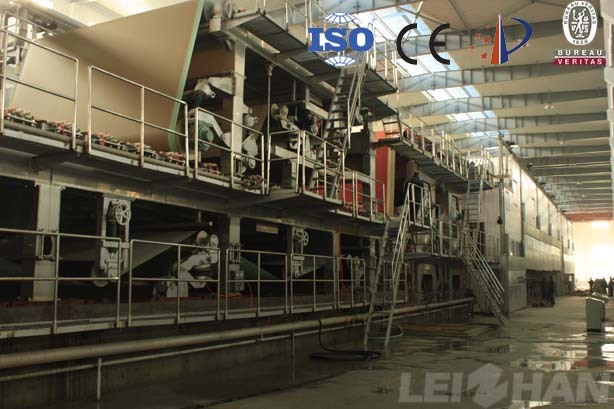 Crescent former tissue paper machine mainly used for making tissue paper. Tissue paper machine mainly divided into five parts: headbox, forming part, press part, drying part and reeling part. 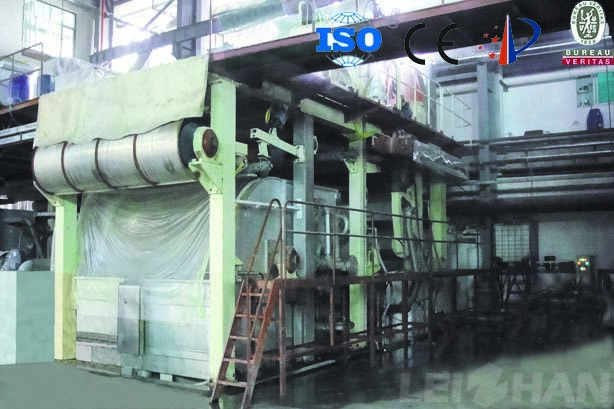 Fourdrinier tissue paper machine, trimmed paper width 2850mm,mainly used for making tissue paper. Tissue paper machine mainly divided into 5 parts: headbox, fourdrinier wire part, press part, drying part and reeling part. 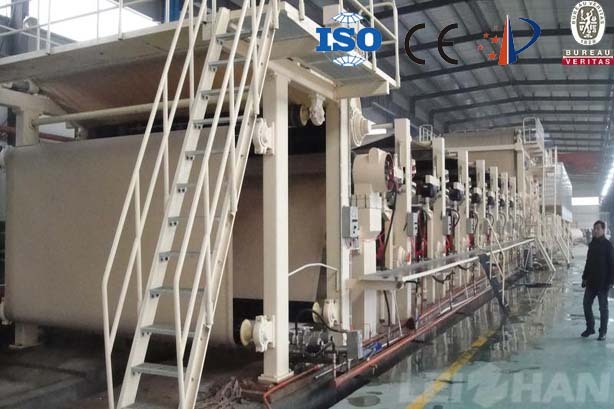 Three Wires Cardboard Paper Machine, mainly used for making kraft paper, testliner carton paper. 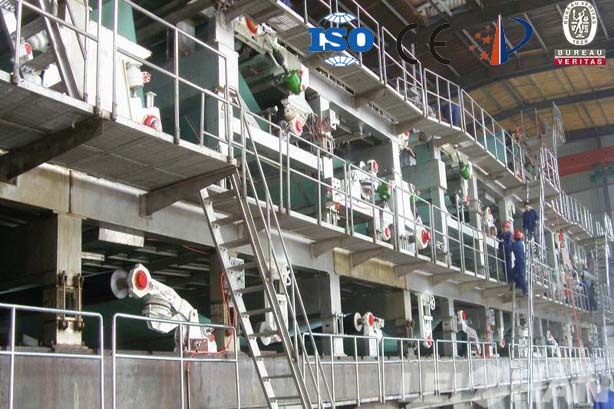 This paper machine use waste paper pulp as raw material, Leizhan supply various paper machine with high quality and low price. 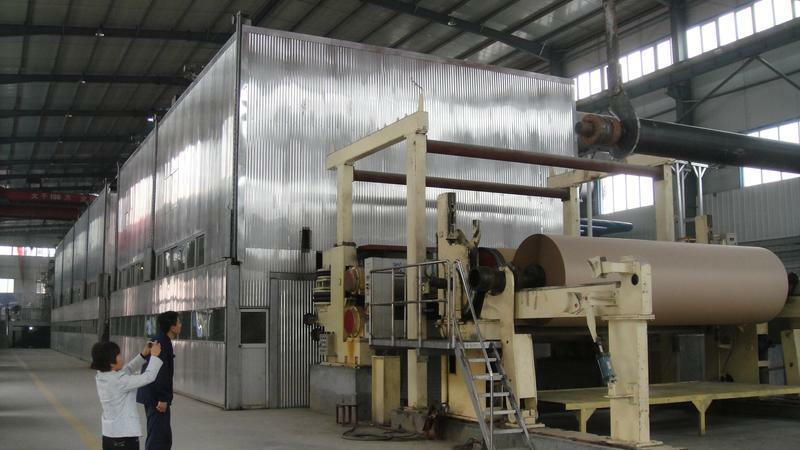 Double layer kraft paper machine is mainly used for making cardboard and corrugated base paper. 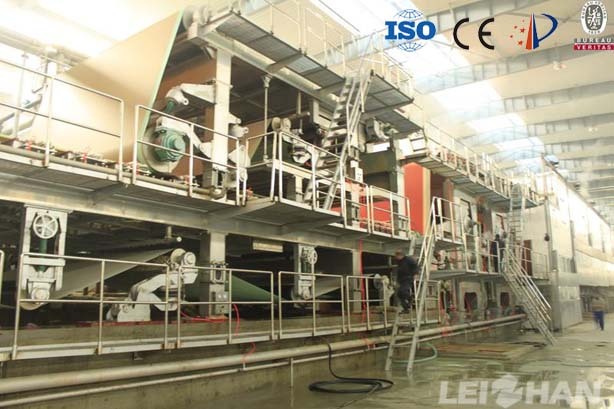 Leizhan supply high quality low price paper machine for paper making friends, welcome to consult us for more details.